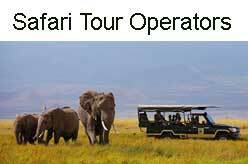 Safari Tour Operators in UK. African Safari Specialists UK – all of these tour operator companies are specialists in African safari holidays. Find here the best African safari tour specialist in the UK. Tanzania & Zanzibar : Flying Safari – ‘Southern Safari’, Private Safari – ‘Tanzania Adventure’, Tanzania Experiences – ‘Walk the Serengeti’. Namibia : Namibia Experiences – ‘Skeleton Coast Safari’. Zimbabwe : Private Safari – ‘Treasures of Zimbabwe’, Private Safari – ‘Zambezi & Hwange Family’, Zimbabwe Experiences – ‘Mana Pools Walking Safari’. Zambia : Private Flying Safari – ‘Classic Zambia’, Zambia Experiences – ‘Walking Safaris’, Zambia Experiences – ‘Shoebill Safari’. Kenya : Private Safari – ‘Kenya Variety’, Private Safari – ‘Kenya Adventure Safari’, Kenya Experiences – ‘Kenya Horse Safari’. African safari specialist offering the hottest wildlife locations and best kept safari secrets. Safaris in Africa – specialists in Tailor-made Family Safaris, Luxury Safaris, Primate Safaris, Riding Safaris, Mobile Safaris, Canoe and Mokoro Safaris, Photographic Safaris, Walking Safaris etc. Safari destinations are Botswana, Republic of Congo, Ethiopia, South Africa, Tanzania and more other countries in Africa. Phone : +44 (0) 1980 849160 (HAMPSHIRE OFFICE), +44 (0) 208 150 7216 (LONDON OFFICE). The Safari Specialist since 1968. An award-winning tour operator for African safari holidays in Kenya, Tanzania, South Africa, Botswana, Zambia, Namibia, Uganda, Rwanda, Mozambique and Ethiopia. Travel Agency in Norwich, Norfolk. UK based tailor-made safari specialist offers luxury honeymoons and private safari holidays across Africa. South Africa Honeymoon Safari (10n) – Classic. Offices in the United Kingdom and South Africa. Hackthorn, Lincolnshire, LN2 3PN, United Kingdom. Safari holidays destinations are Kenya, South Africa, Namibia, Tanzania, Botswana and Rwanda. Luxury African safari holidays & tours. destinations are Botswana, Ethiopia, Kenya, Madagascar, Mozambique, Namibia, Rwanda, South Africa, Tanzania, Uganda, Zambia and Zimbabwe. Travel Agency in Northampton, Northamptonshire. Africa Exclusive is a luxury safari tour operator specialising in exclusive (photographic safaris, honeymoon safari tour etc) tailor-made safari holidays to Africa and the Indian Ocean. Northampton NN1 5LL, United Kingdom. Tailor-made African luxury safari specialists. Other tailor-made holiday destinations are Asia and Latin America. London SW6 1BJ, United Kingdom. Luxury African safari specialist offering bespoke & sustainable adventures across 18 countries. Destinations are Botswana, Democratic Republic of Congo, Ethiopia, Kenya, Madagascar, Malawi, Mozambique, Namibia, Republic of the Congo, Rwanda, Seychelles, Somaliland, South Africa, Sudan (North), Tanzania, Uganda, Zambia and Zimbabwe. P.O. Box 7014 (00300) GPO, Nairobi, Kenya. PO Box 1881, Kampala, Uganda. Gorilla Safaris to Uganda, Rwanda & Congo. Offers ready-made tours and safari itineraries, tailor-made safaris and tours. 13-23 Bukasa Hill View Road, Butabika, Kampala, Uganda. Updated : June 27, 2016.